Paradigm Initiative Nigeria, a Civil Right Society has dragged the Federal Ministry of Science and Technology to court seeking judicial review of the Ministry’s alleged refusal to attend to Freedom of Information (FoI) request it made to the Ministry several weeks ago. The action came as a result of a Freedom of Information request made by the Paradigm Initiative Nigeria (PIN) on May 3 to the ministry on the capabilities of two new satellites to be launched by the National Space and Research Development Agency under the Ministry. 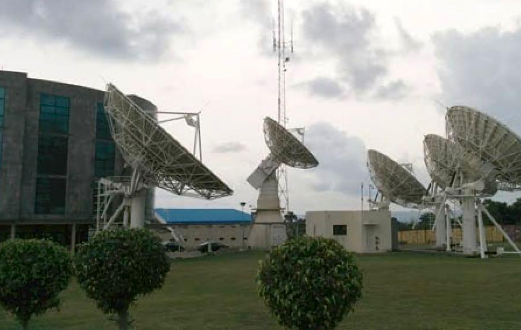 These satellites, PIN said, are believed to have snooping capacities which can infringe the constitutionally guaranteed rights of Nigerians to privacy. However, since the request was made, there has been no response from the ministry. The refusal of the ministry to abide by the provision of the FOI Act 2011, in this case, is responsible for the initiation of the court process by Paradigm Initiative. The case has been since fixed for hearing and will come up before Justice Nnamdi Dimgba of the Federal High Court in the Abuja Division on June 28, 2017. “At Paradigm Initiative, we understand the need to ensure that digital rights are respected and aside from having this as one of our most important mandates, we have recognized the need to mount guard in making this happen. This is not done because of the abundance of time and resources, but for the need to ensure that rights begin to form the fulcrum upon which technological innovations are made. Furthermore, we are keen on the crucial influence of digital rights on our dear country’s socio-political and socio-economic survival”, said Tomiwa Ilori, the program assistant for Paradigm Initiative’s Magoyi (ICT policy) program. “This is not the first time we have turned to the Courts to have them safeguard digital rights in Nigeria. Even though a unique and novel turf, we are conscious of the fact that soon, we will be able to comfortably rely on the Court’s plethora of decided cases on digital rights to institutionalize its principles”, he continued. Adeboye Adegoke, a program manager with Paradigm Initiative’s Magoyi (ICT Policy) program, reiterated “the need to make sure that we have rights-respecting institutions in Nigeria is almost a thankless job considering the unique structure of Nigeria as a country but it is a job that must be done. Nonsense! Nigerians must not believe and dwell on the story, our country is not organized at every level.This lame duck agency will achieve more if they can get crayons and those primary school cartoon books and start painting them. Only the politicians spying on themselves…as Danti mentioned, what are you going to spy about in unorganized society? no central data or even correct addresses. This is part of Nigeria joke.